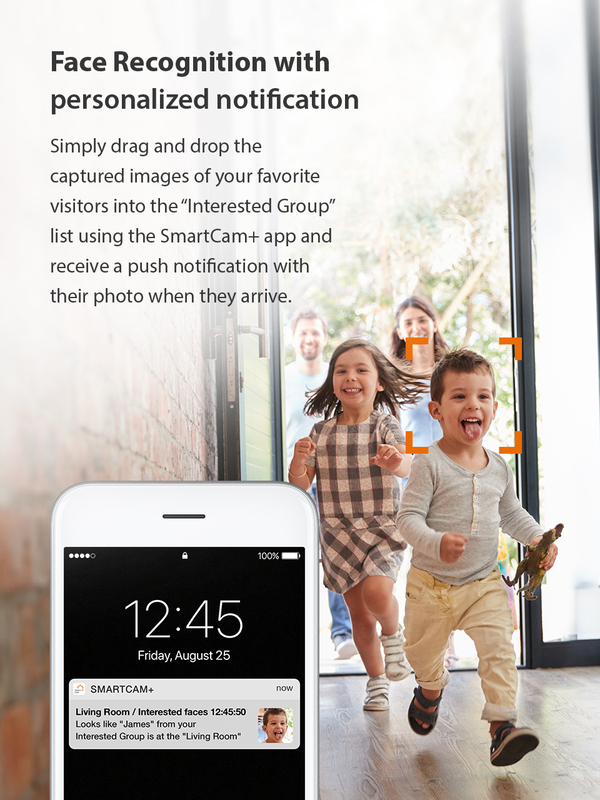 Simply drag and drop the captured images of your favorite visitors into the “Interested Group” list using the SmartCam+ app and receive a push notification with their photo when they arrive. 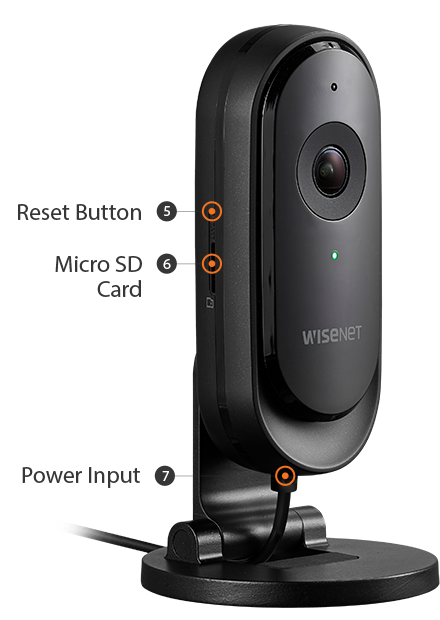 SmartCam N2 captures an ultra-wide 130° field of view with built-in automatic lens-distortion correction and 2MP resolution to provide clear picture. 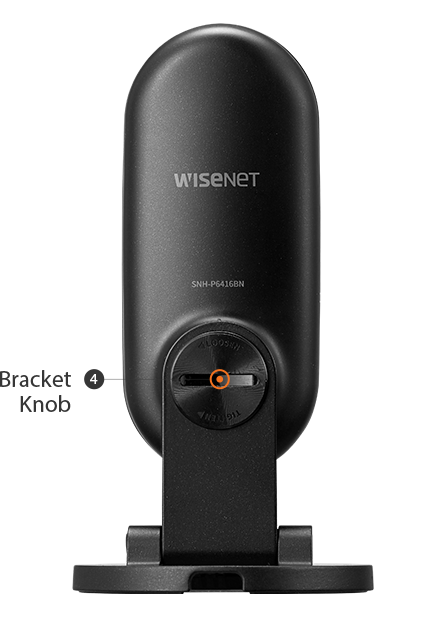 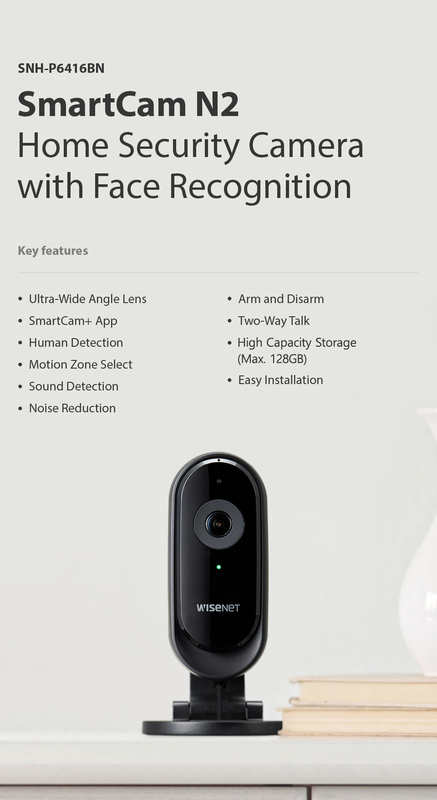 Don’t miss a moment with the Wisenet SmartCam+ app. 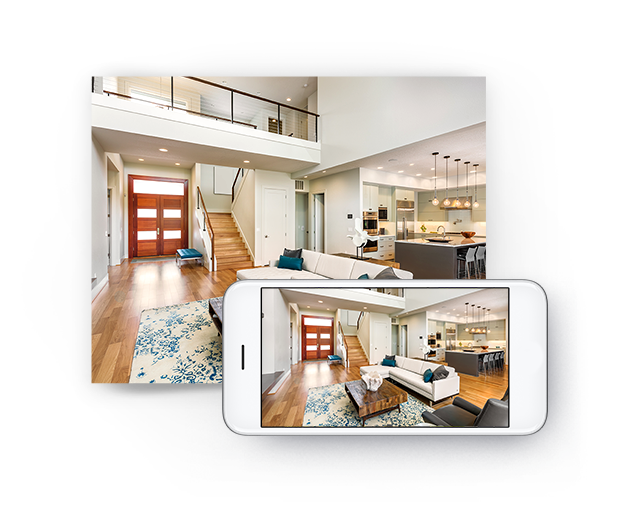 Download the SmartCam+ app for live streaming and to playback the recorded footages for free. 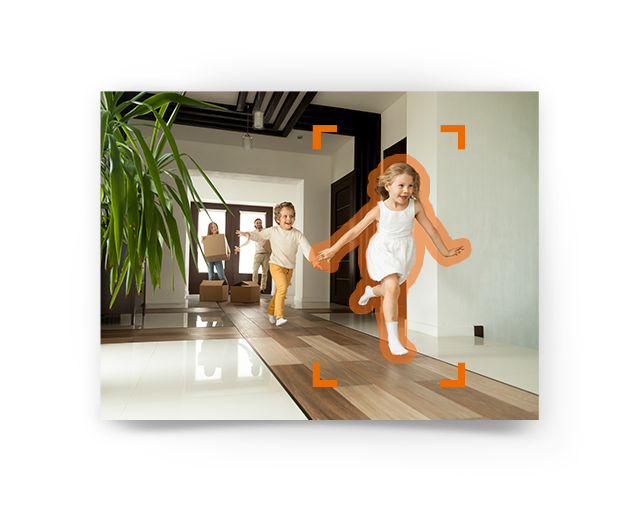 The innovative video analytic software used by SmartCam N2 only distinguishes human activity, eliminating false alert triggered by your pets. 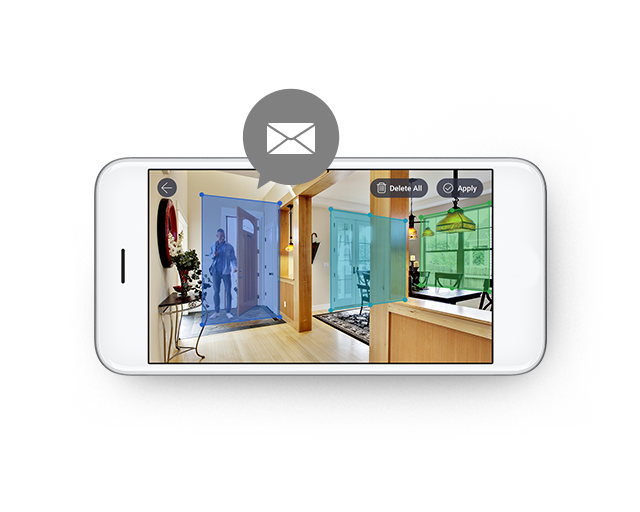 With Motion Zone Selection, you can create up to 3 customizable areas in your camera's view through the SmartCam+ App. When SmartCam N2 detects movements within the Motion Zone Selection area, you'll receive push notification alerts on your smartphone or device. 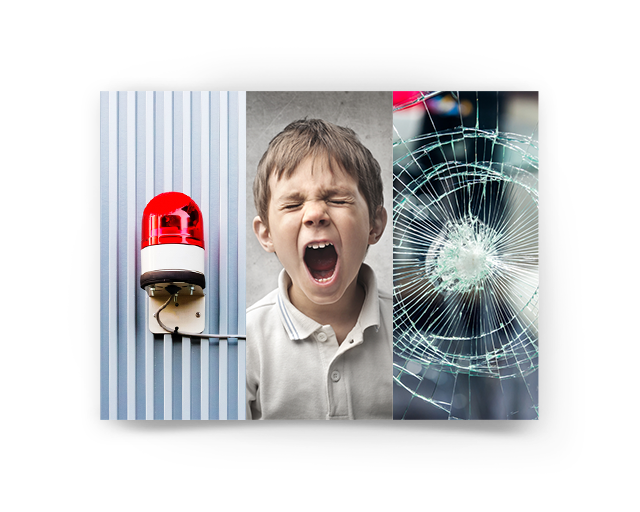 Increase your home's security with Abnormal Sound Detection. 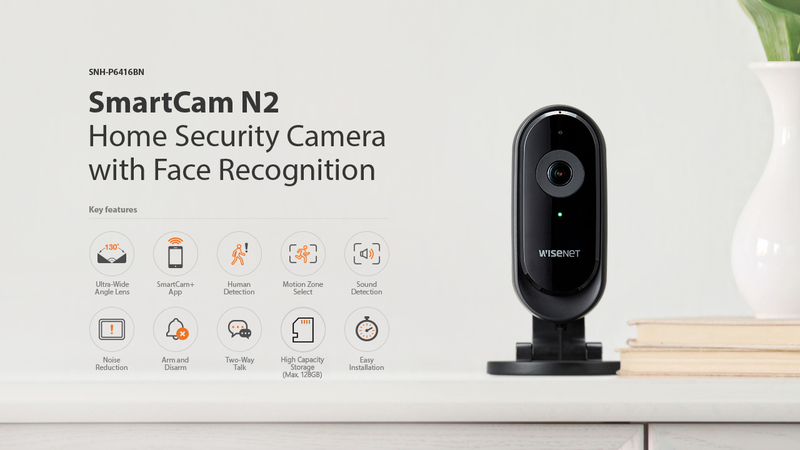 SmartCam N2 will trigger alerts when it detects sounds such as sirens, glass breaking, and screaming, notifying you of unusual events that take place when you're away. 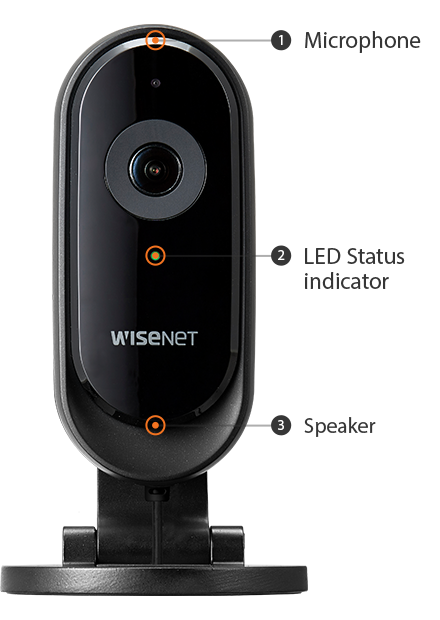 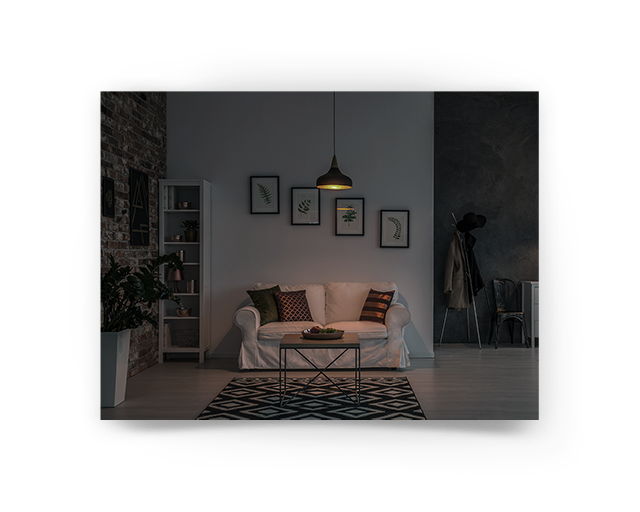 SmartCam N2 utilizes the new Wisenet 5 chipset technology to reduce noise in low-light conditions, giving you a clear view of your home. 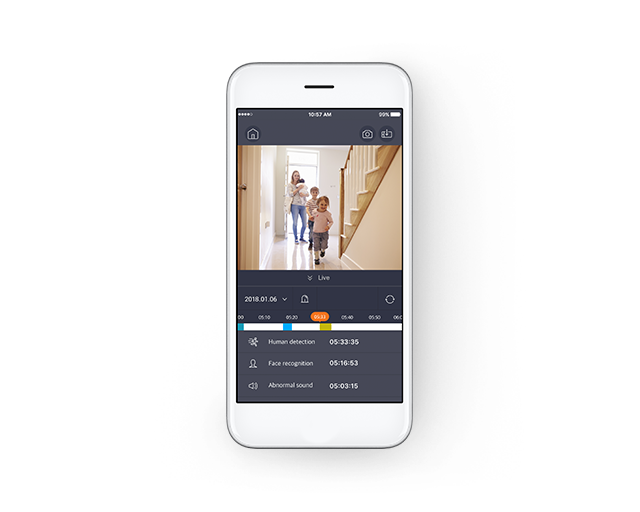 Arm and disarm your SmartCam N2 with the push of a button in the app to protect the privacy of your home. 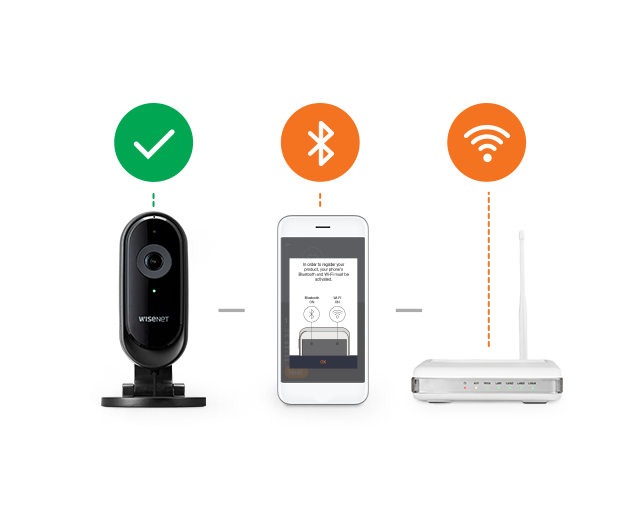 SmartCam N2 features Two-Way Talk with its built-in microphone and speaker, allowing you talk to your loved ones through your mobile devices. 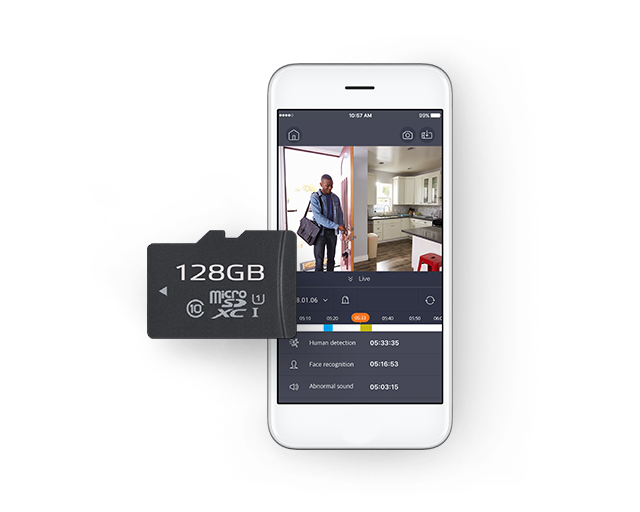 Record and save videos using a microSD card (up to 128GB, SDXC), so you can easily track back to the activities captured. 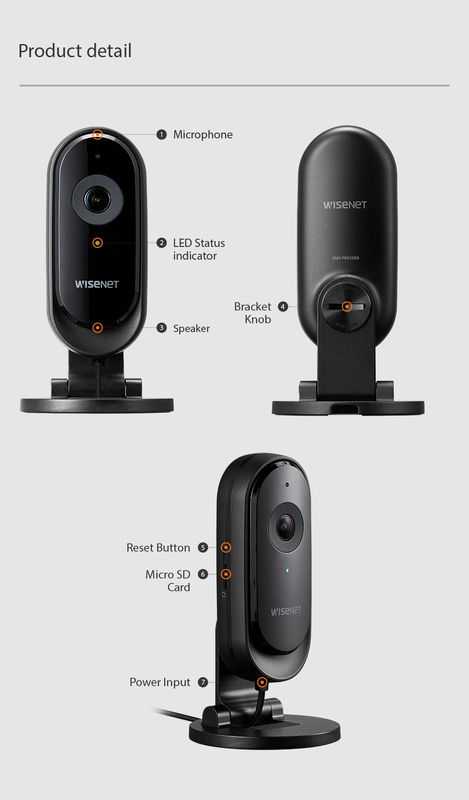 Quick and easy installation connecting to the camera via Bluetooth/Wi-Fi and Wisenet SmartCam+ App.